There are a few mini sets of nail varnish out there that tempt me (since I have a problem with mini sets…) but this one really is AMAZING value – 9 colours for £10 (and it’s in the three for two thing at Boots too…). This is a little treat I picked up and split into three sets of threes to give to my boyfriend’s nieces as a little stocking filler. 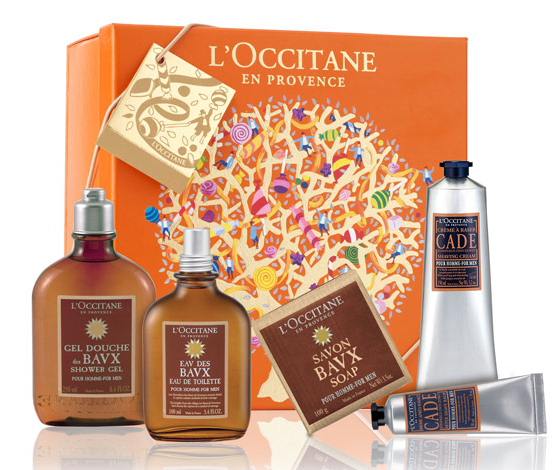 Most of the men in my life are either very fussy with their skincare (boyfriend is totally dedicated to Clinique) or not fussed about what they use (Dad & Brother) but I think this set for Men is nice enough as a gift but still simple enough that they will like it…. I hope! I always think Lavender is one of those ‘if in doubt’ fragrances, ok so not everyone loves it – but it’s not offensive… I think these lovely little Lavender gift sets from Yardley are a nice but affordable little way to gift aunties and grannies…. This is one of the gift sets I’ve been talking about over on the Jurlique website. I fairly recently discovered and feel in love with their Herbal Recovery Gel – it feels refreshing, especially for tired (hungover) skin. So I’m sure this will go down a treat for a few people…! 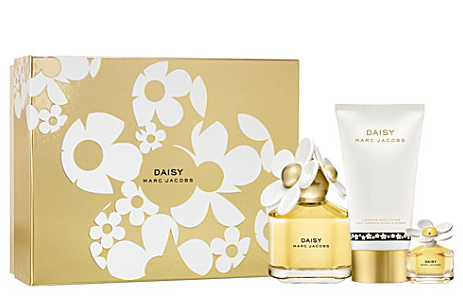 Marc Jacobs Daisy Eau So Fresh and Daisy (original) have been my favourite fragrances of 2011, so I have to mention one of these little sets (there’s also a set of Eau So Fresh too) but I absolutely love the little mini bottle in the set – so cute and ideal for having a little bit of Daisy loveliness in your handbag. Is it just me, or is there something lovely about opening a gift set of perfume rather than just the bottle of fragrance? I don’t know what it is, but it’s definitely something I love to receive! So these are just a few bits and bobs I spotted. I also saw some other lovely make-up and beauty gift sets in Boots – including the giant Soap and Glory Box (already ordered one of these myself…) there are some really good ones on the market this year! But as a fairly simple person myself, I would genuinely be happy with some nice jim jams, a classic 90s action film DVD (Air Force One is a classic…) and maybe some snuggly Christmas socks! * = PR gift of this received. I love the look of the 17 nail varnishes! 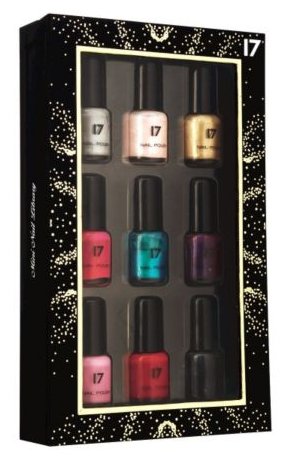 I’d love to get the 17 nail varnish set for Christmas! It is meaningful information. Thank for your posting. I hope to see more than that.